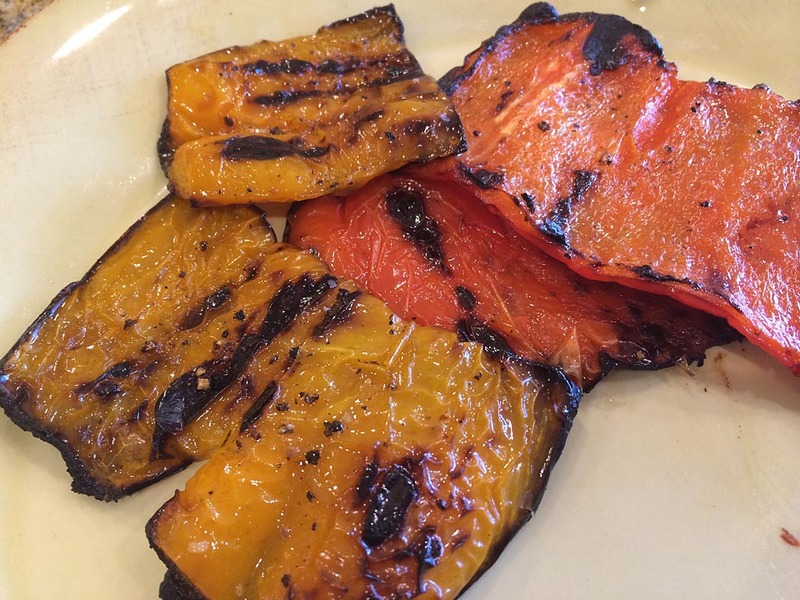 Grilled bell peppers are easy to make and delicious by themselves or more often as an ingredient in a larger dish. 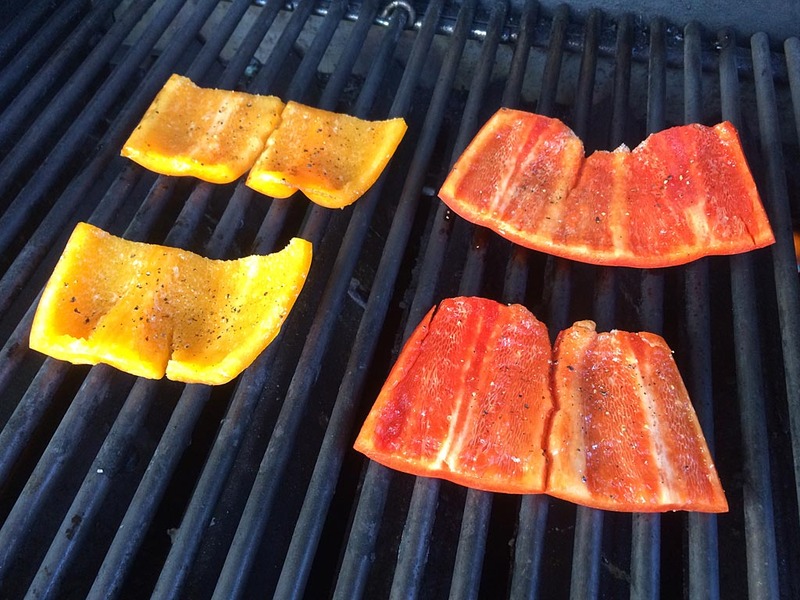 But not everyone knows how to prep bell peppers for grilling, so we’ll cover both prep and grilling in this post. 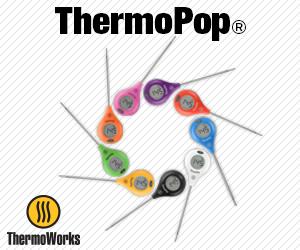 Rinse and dry the bell peppers, and remove any stickers on the surface. 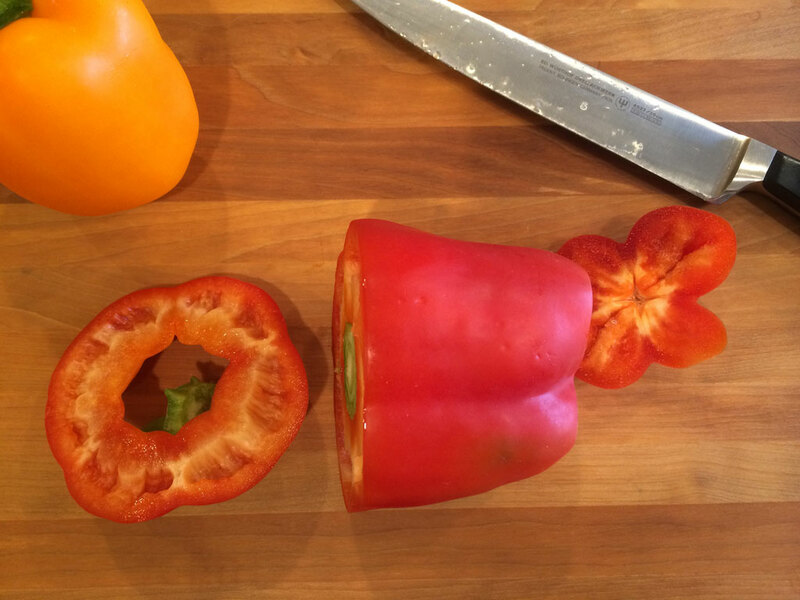 Cut off the top and bottom of the pepper. 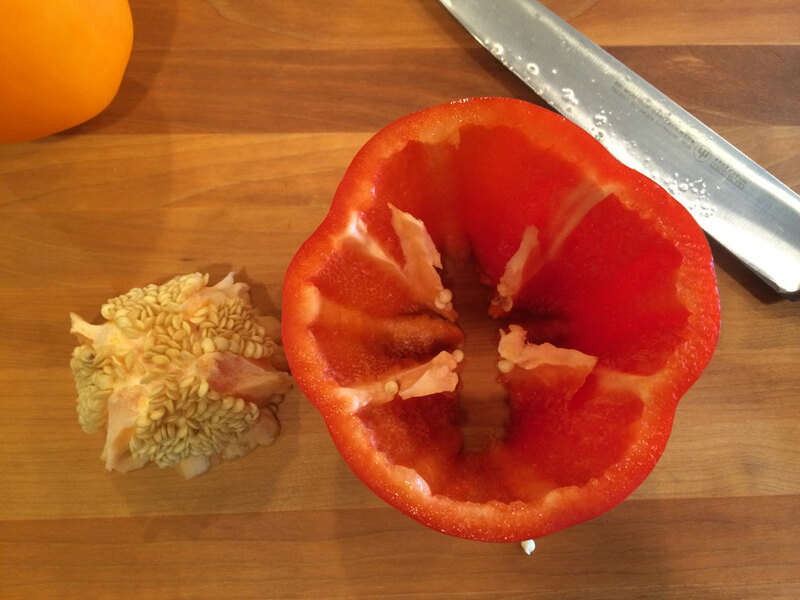 Remove the center of the bell pepper using a knife or your fingers. 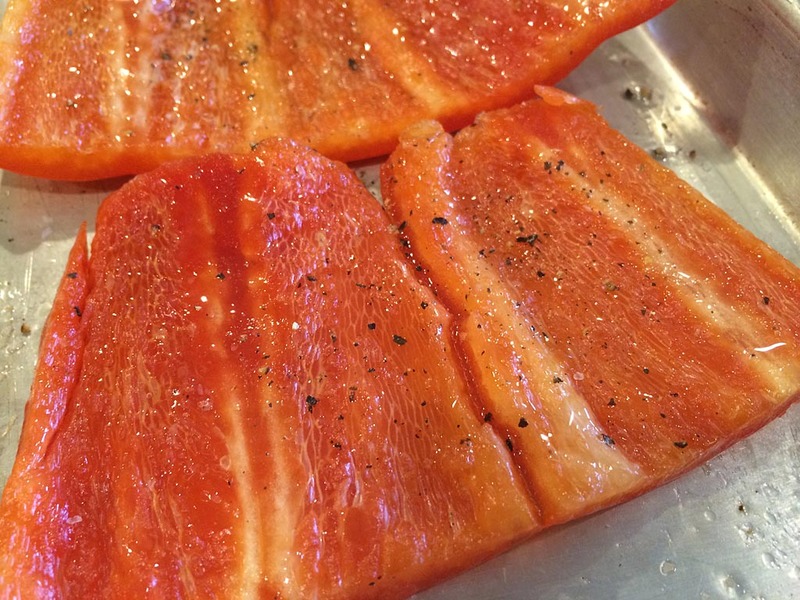 Slice down one side of the pepper and open it up so it lays flat. 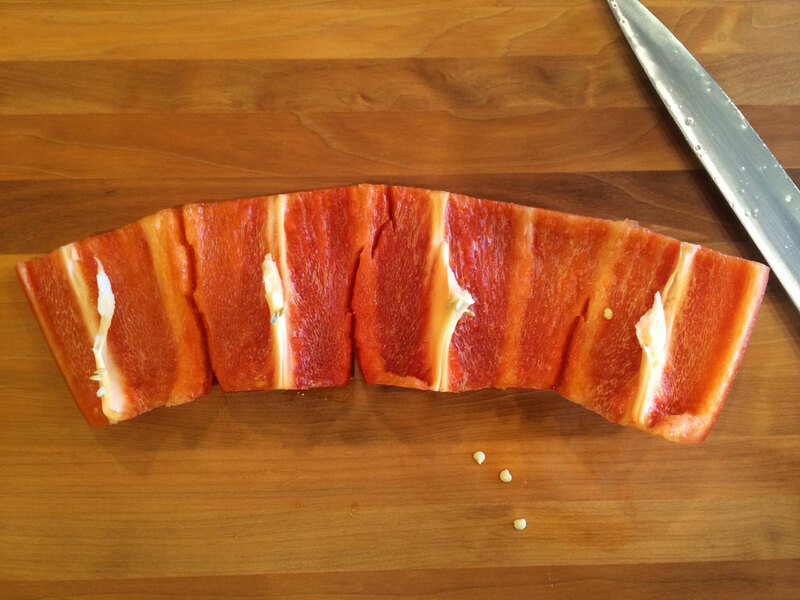 Cut into manageable pieces for grilling. Brush both sides with vegetable oil or olive oil. 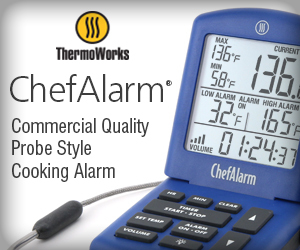 Preheat the grill on HIGH. 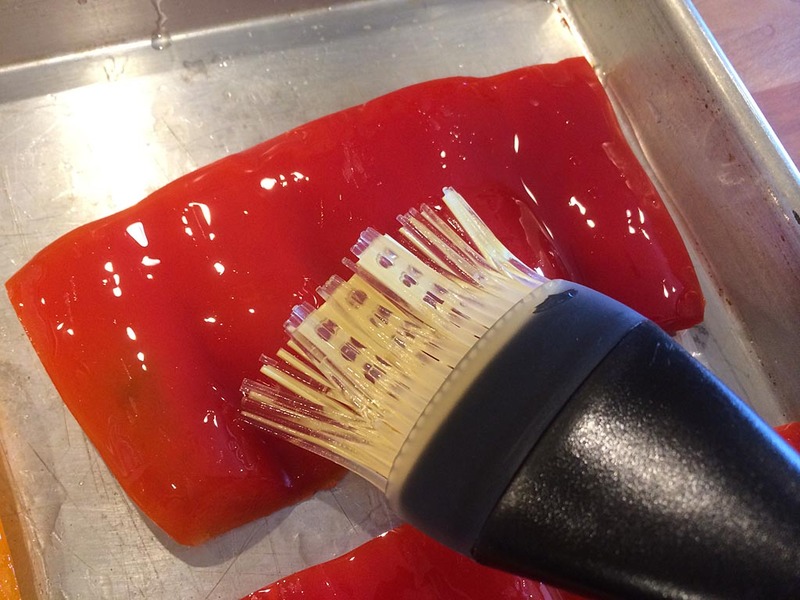 Use a grill brush to remove any debris, then reduce heat to MEDIUM. Start the peppers skin side down. Grill for 5-8 minutes until charred and blistered. Turn the peppers and grill another 3-5 minutes until the flesh is soft. 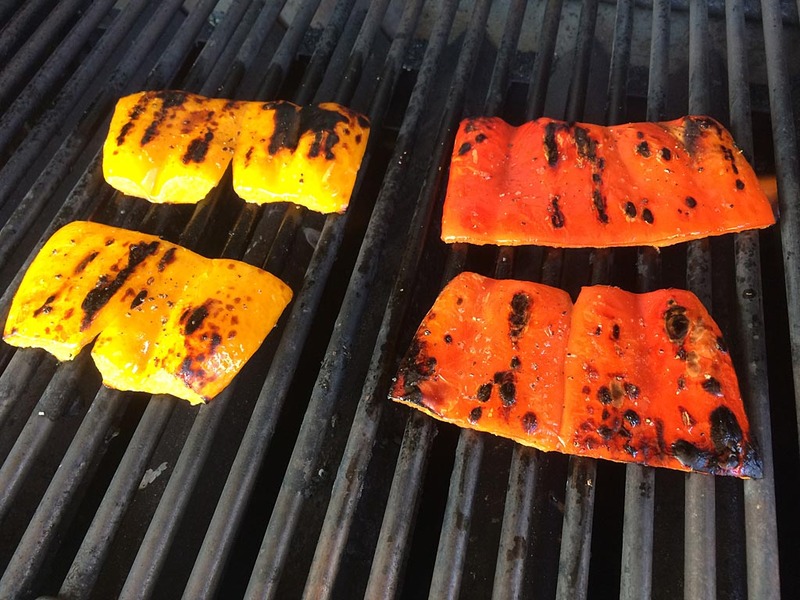 Remove the peppers from the grill. 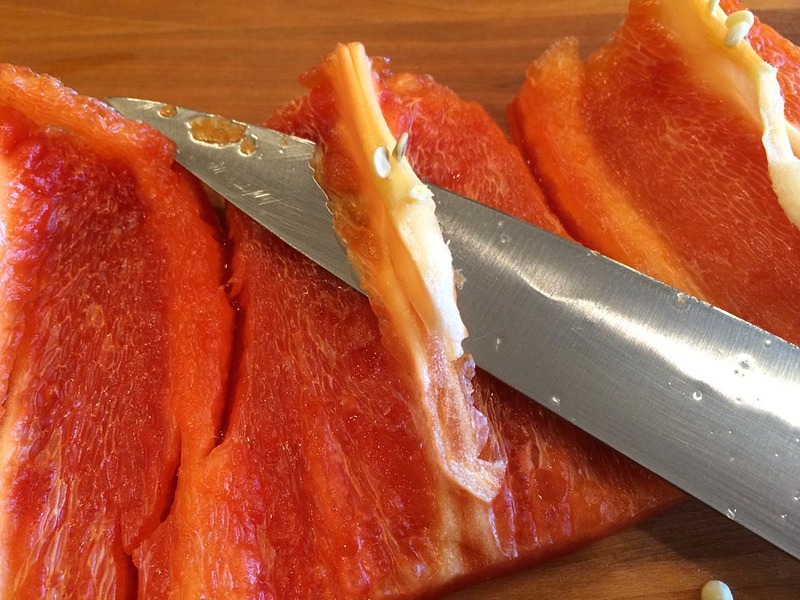 They can be eaten as-is or cut into smaller pieces for use in other recipes. I always leave the charred skin on because that’s where all the flavor is! 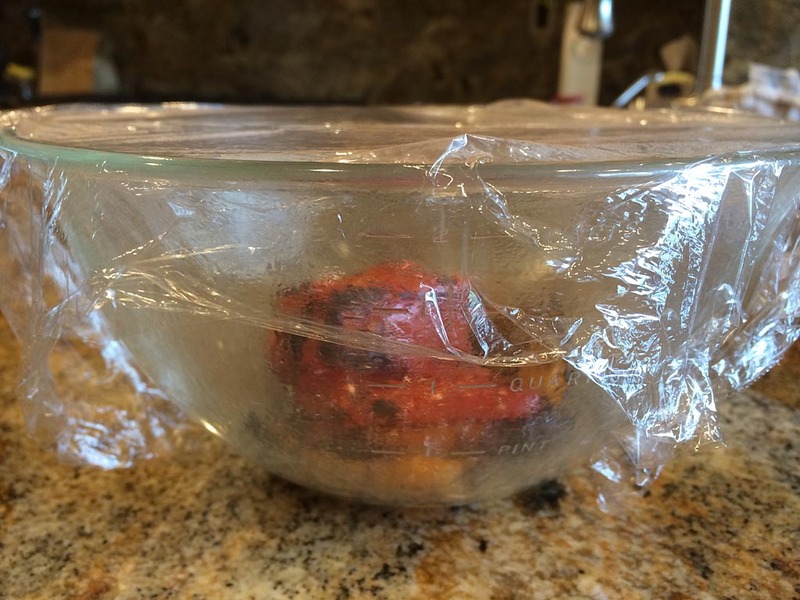 If you have a recipe that calls for the skins to be removed, place the grilled peppers in a bowl and cover with plastic wrap. Let the peppers steam for about 5 minutes. 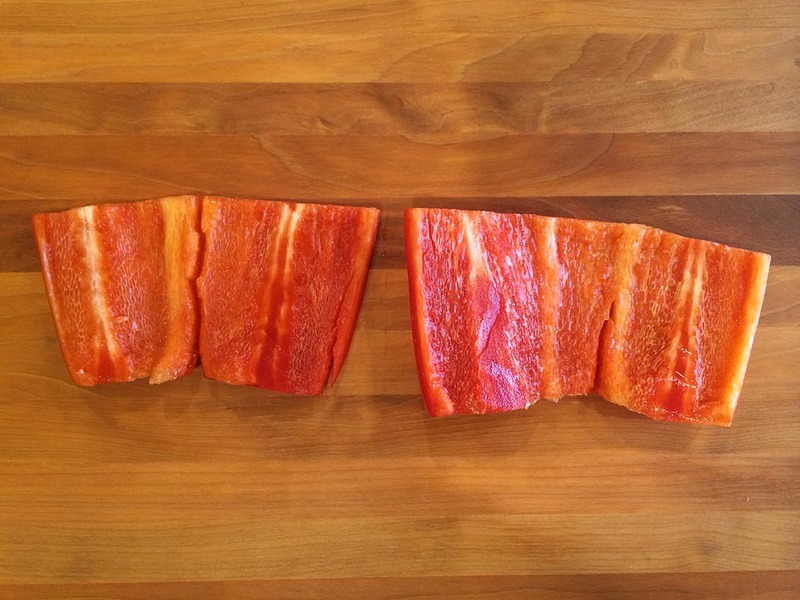 Pull off the skins using a paper towel or scrape them off using a knife.